Players can't draw more than 2 cards per turn. 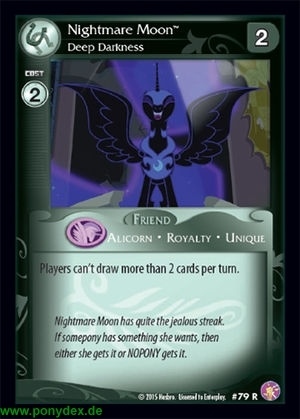 Nightmare Moon has quite the jealous streak. If somepony has something she wants, then either she gets it or NOPONY gets it.